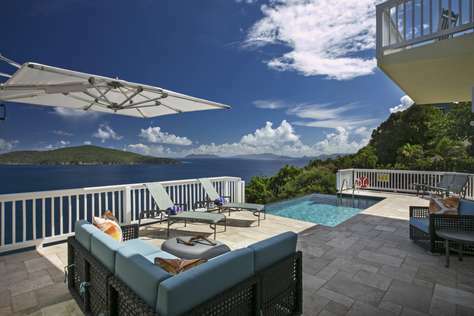 Calypso Delight is one of the newest vacation rentals in St. Thomas! 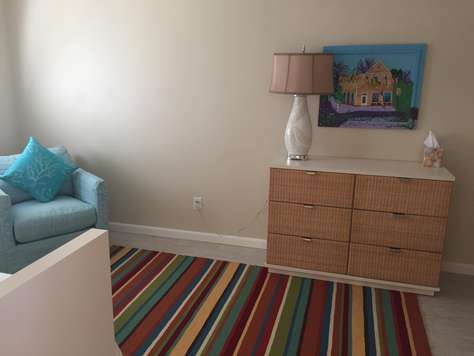 Featuring state-of-the-art upgrades, you and your guests are sure to enjoy your stay in the Virgin Islands at Calypso Delight. 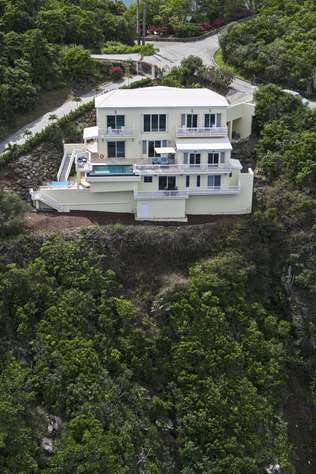 • Ocean-front - down island views! 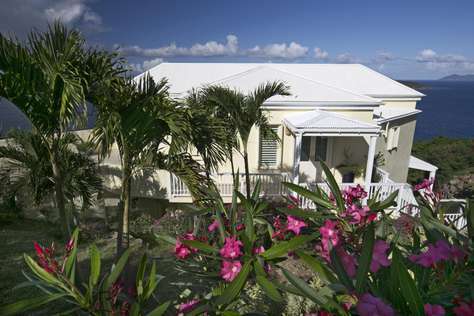 Book your stay in Calypso Delight and you'll be excited to return year after year! We can assist in grocery delivery to conveniently stock your fridge prior to your arrival, as well as arrange for private catering/chef services, private massage therapist, and housekeeping services. Advisory: We only accept payments made through secure payments platforms and do not accept wire transfers so be cautious of scammers asking for bank account information! It is best to book directly through VacationVI where you pay the lowest rate without excess booking fees! We usually like to stay in nice hotels. Something about staying at at house always creeps me out a bit. But if every vacation rental could be half as nice as this then I would never stay at another hotel. This place was perfect in every way. Where to even begin… Located at the top of a hill, before you even get to the front door your breath is taken away by a view that only royalty should ever see. 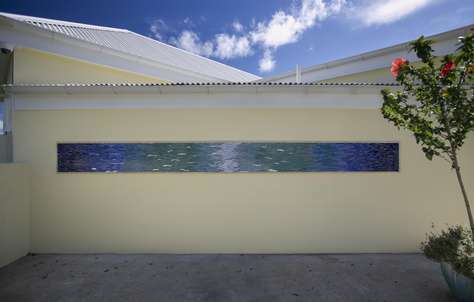 The vast Caribbean ocean is all it’s shimmering shades of blue expanding out in all directions. Once in the house, the view continues as there are picture windows looking out everywhere you look. The home is tastefully done. Modern in it’s convinces. Songs music in all the rooms, Giant Flatscreens connected to every streaming service you could ask for and plugs near the beds and desk so you can charge all your modern crap wherever and whenever you want. The decor is beautiful and well thought out. Cheery art, comfortable but pretty furniture and most importantly. Plenty of different places to sip wine and watch the sun and water all day and night. 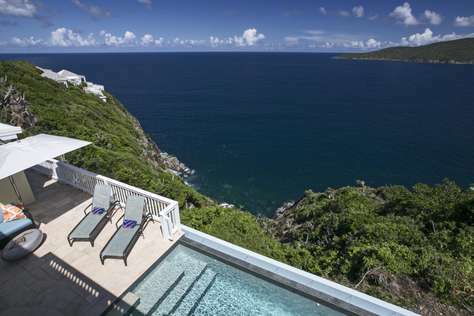 The infinity pool makes you feel like you are swimming in the air floating over the ocean. Several nights we sat on one of the many decks, feeling the warm breeze and watching the moon light up the sparkling ocean. I know I am sounding corny here but, this place was paradise in paradise. 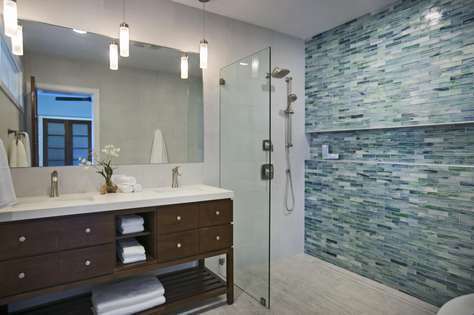 Bathrooms are all new. Beds are all deliciously comfortable. We came with extended family and we had enough room to disappear when we needed to and then all come together and relax. Four Seasons never again. We recently returned from an absolutely fabulous vacation in St. Thomas. We were with our children and grandchildren and stayed in this most beautiful home, which was just perfect for our large and unwieldy group. We have rented many vacation homes over the years and this was, by far, one of the best we have ever stayed in. 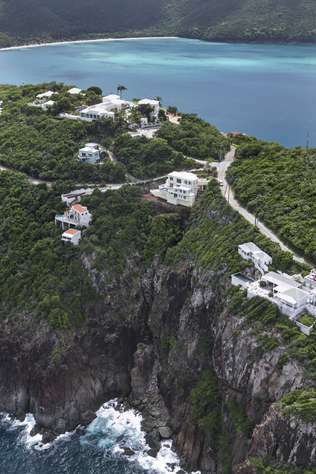 It is situated on a hill overlooking the ocean. As soon as you walk into the house you experience breathtaking views in all directions as sliding doors open onto balconies from practically every room. The sense of wonder and joy continues as the island breezes waft through and your cares fade away. 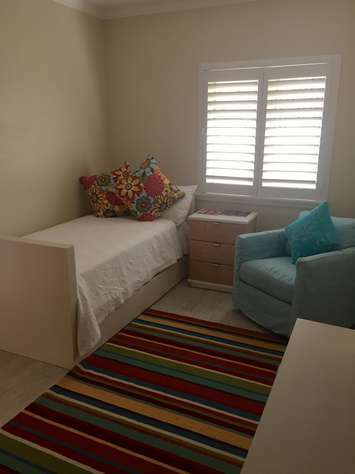 The house is beautifully appointed and wonderfully comfortable with ample space for our family of 12 to be together in the common spaces and yet have places for each to be on his or her own. 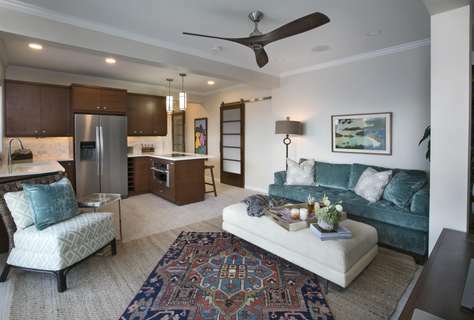 Everything is spacious and inviting with the most up to date amenities, i.e. 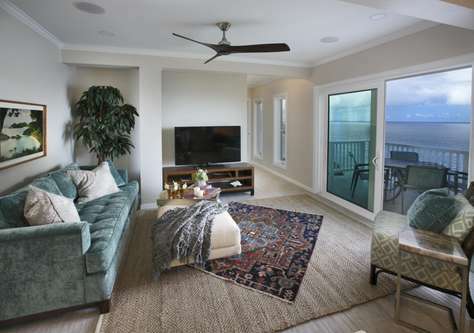 wifi, music streaming capability, fully equipped kitchens, gorgeous modern baths, beautiful two bedroom apartment below and deck furniture on each of the balconies. The furnishings are modern with a traditional, island flare which allow for the perfect combination of beauty and comfort. All the bedrooms are roomy and lovely complete with the most comfortable beds imaginable. 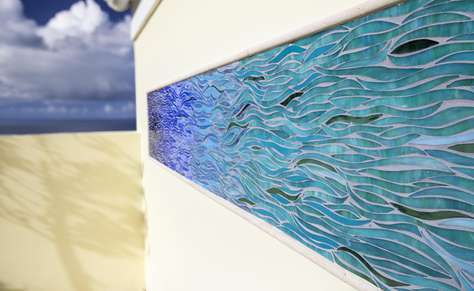 Even the artwork is special, complementing the perfect decor of the home. There is a lovely infinity pool on the deck outside of the living and dining rooms which contributes to the feeling of being in paradise. The owners seem to have provided for every possible wish, making this the perfect vacation setting. We look forward to returning time and time again. This elegant villa is the perfect combination of tasteful class with a subtle dash of contemporary style with a big open floor-plan in the kitchen / dining room / living room area. My fiancé & I's room (along with the others) had a lovely private deck and a full unobstructed view of the ocean, perfect for sunrise and sunsets and peering at the moon and stars. We also were able to douse ourselves with the warm ocean breeze whenever we wished. Beautiful and relaxing, we will definitely be coming back. Beautiful home with amazingly gorgeous views from every room. 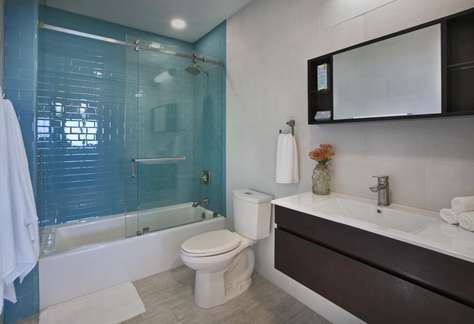 Great layout providing lots of space for both privacy and togetherness. 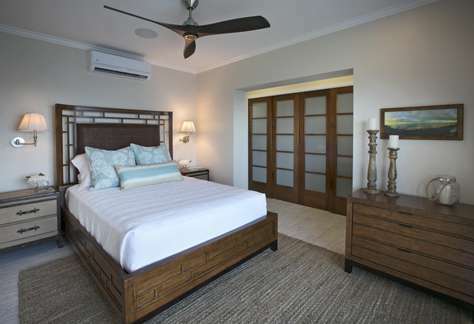 The owners have gone above and beyond with their attention to detail to create the perfect blend of luxury and comfort in paradise. I cannot say enough good things about this home, and I can't wait to return! 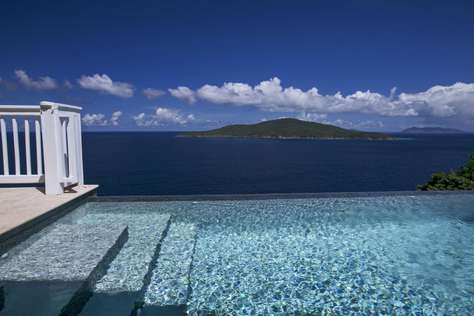 I have visited St. Thomas, St. John, and St. Croix on and off since 1997 and each time I would stay at the local hotels. I decided to try an Ocean-Front Villa this year and it was the best decision ever made as this villa was fantastic. I was amazed to see the level of detail that went into this villa to make one feel comfortable and at home. Even the smallest of detail was thought of (e.g. bug spray, telephone plug adapters, flashlights, and beach towels/chairs). Nothing was overlooked to ensure we wanted for nothing. The home was totally upscale and modern - definitely comparable to, if not better than the Ritz (which I have stayed at on a number of times). The photos online were not misleading as what we saw, was what we got. We were not disappointed!! In fact, the villa was even better and definitely exceeded our expectations.